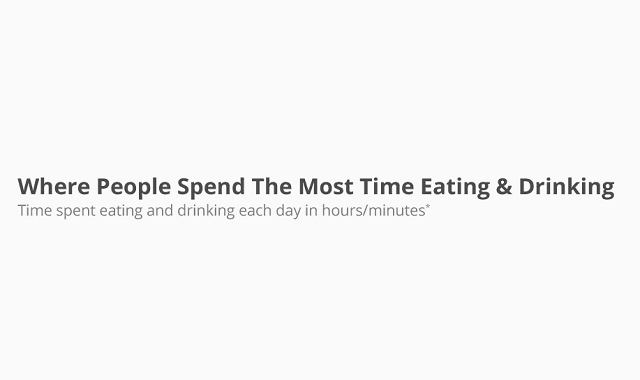 Where People Spend The Most Time Eating And Drinking #Infographic ~ Visualistan '+g+"
It's a common story. A group of colleagues go out for lunch and one of them is a slow eater, taking his or her time to finally clear the plate while everybody else watches on. 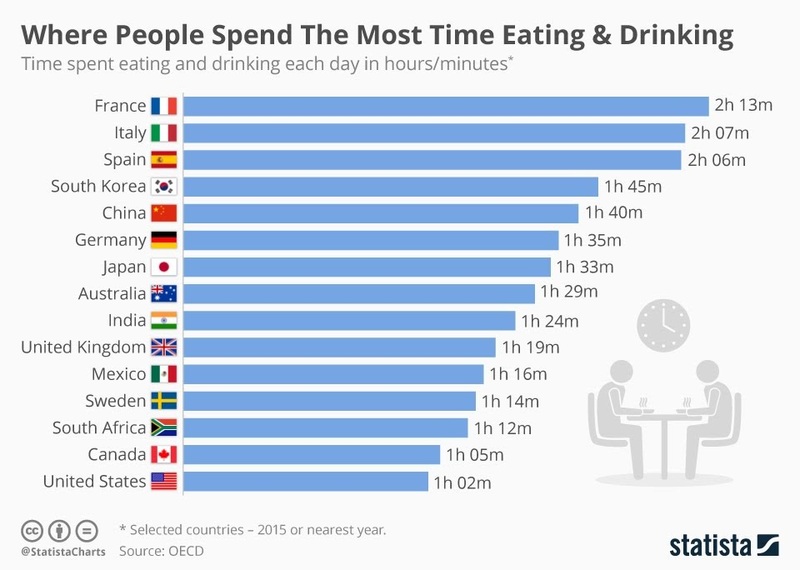 In many countries, taking your time over a meal is pretty normal, according to data released by the OECD. People in France tend to spend the most time eating and drinking per day on average at 2 hours and 13 minutes. Their neighbors in Italy and Spain aren't too far behind, averaging more than two hours per day. Have a look below for more information.